Over the past eight years, UniteBoston has been building bridges across historic divides in the Christian faith, and we are seeing greater momentum than ever before. 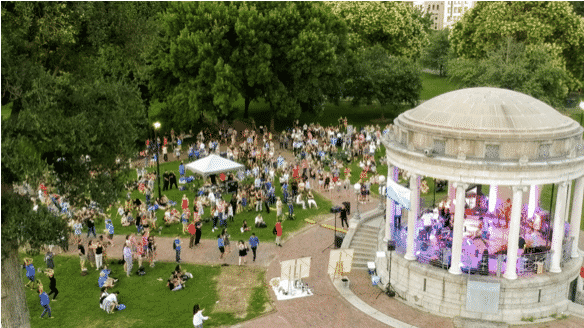 Over 1,000 people gathered on the Boston Common this past summer with the sole purpose of worshipping Jesus Christ. There was a wide variety of different races, cultures, languages, denominations and traditions present who were all united in their worship of and devotion to Jesus. Also, participation in our neighborhood dinners continues to grow. We are now celebrating our one year anniversary since launching these dinners. 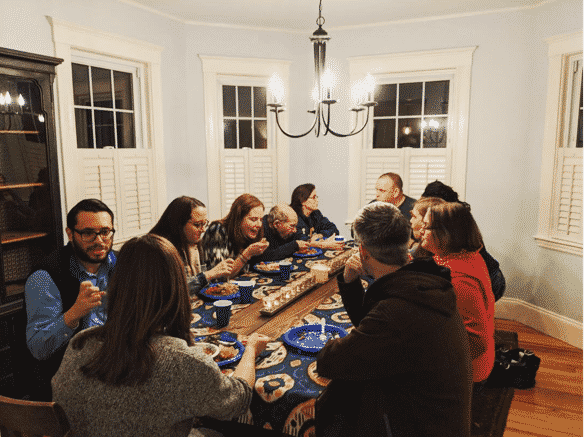 Eleven dinner coordinators are now gathering Christians of all backgrounds to dialogue about what is happening in our local congregations and how can we reveal Jesus’ love within our neighborhoods to further gospel movement. As the leader of UniteBoston, I’m becoming more and more convinced that all Christians are called to take part in Jesus’ prayer in John 17:23, “that they may be one as we are one – I in them and you in me – so that they may be brought to complete unity.” While traditional understanding of the work towards Christian unity involves high-level leaders deriving theological unity through structural consensus statements, these often end up drawing more lines in the sand, creating the potential for more disunity and dismissing the pluriform nature of Christian tradition. Additionally, the “Faith and Order” movement is finding that the valuable work of consensus documents often does not trickle down to Christians at the local level. As technological capacities have expanded, mission is from here to everywhere; yet there is no one-size-fits-all missiological practice to effectively promote the gospel. It is only people on the ground who will be able to effectively determine how the gospel is good news for these people, in this place. Critical reflection is needed to consider the type of leadership structure in our ecumenical calling that would draw in all Christians and lead us together towards effectively contextualized mission. A localized approach takes seriously the soil in which the hearts of the people and the congregations are located. This “ecumenism on the road” nurtures relationships with Christians from different churches. As Christians begin to walk together at the local level, they will discover that they are not enemies but are brothers and sisters in the faith. As they begin to recognize their shared familial bonds in the family of God, this will impact local mission. In Boston, we are finding that there are many streets in which churches with similar outreach and missional activities are functioning in isolation of one another. This results in a duplication of efforts and resources. Additionally, in a time where the population of churchgoers in America is diminishing, churches are often struggling to keep their doors open. 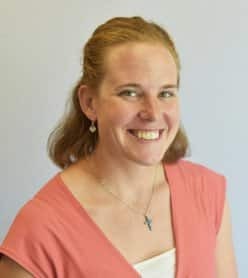 It is time for clergy and laity of neighboring churches to open their hearts and hands towards one another and ask the question, “What can we do better together than in working independently?” Collaborative worship gatherings, food pantries, block parties, and neighborhood dinners could all be contextualized forms of the gathering of hearts and hands in Christ’s mission. However, the mission does not solely consist of external activities. The creation of new friendships are themselves a sign of God’s reconciling, boundary-breaking love. Jesus places relationship at the very core of his mission when he states that the greatest commandment is to love God with your heart, soul, mind and strength, and to love your neighbor as yourself (Mark 12:30-31.) Jesus became one of us in order to bring about reconciliation. Thus, we must give priorty of place to relationships at the local level in our efforts to build bridges and reconcile historic divides within the Christian faith. With UniteBoston, we are finding that reconciliation happens not just through church councils or by jointly signed documents, but person by person. Often, the divides that have separated Christians are a result of cultural distance and fragmented relationships. Let us go, walking alongside one another, placing relationship rather than theology at the heart of our ecumenical missiology.